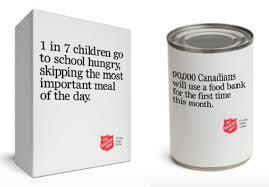 ​Our food bank operates on a drop in basis from 10am - 11:50am. People can come in, have a cup of coffee, grab a snack and sign up for a food bank slot, on a first come first serve basis. ​From 1:00pm - 3:55pm, the food bank is by appointment only. This allows us to restock the shelves, and offer a quieter time for people who may be using the food bank for the first time, or may have additional needs they'd like to discuss with our Community Ministries Worker. If you are in need of clothing or household items, we offer emergency vouchers for our Thrift Store, conveniently located in the same building. We also offer vouchers for a number of other emergency needs in partnership with local businesses and partially funded through an agreement with our local churches. Christmas can be a hard season for people with low income. In November, we start handing out applications for our Christmas Hamper program. Through the communities generous donations, as well as partnerships with local schools, businesses and organizations, we provide Christmas gifts & food for people in our community to alleviate some of the pressures of the season. ​* For 2018 Christmas Application deadlines, check back in September.